Don’t toss those clear plastic egg cartons, you can remove the cups and make a darling fresh as spring wreath. 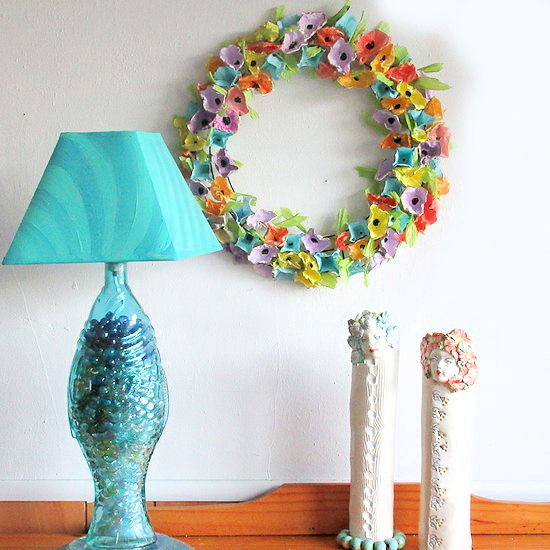 Pop on over to Whimziville for the step by step tutorial on how to make a recycled plastic egg carton flower wreath. I bet this would work with plastic cupcake containers too.